Peter Galbraith had to wait 20 minutes Thursday morning before reporters finally posed the question he'd traveled 110 miles to be asked: Are you going to run for governor? "Watch this space," the former ambassador and state senator said, smiling like the Cheshire Cat. 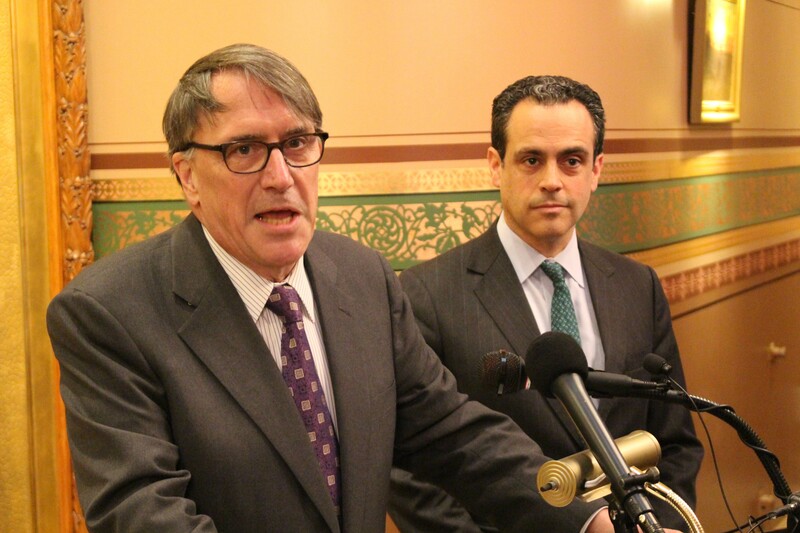 Wearing a slightly more pained expression was another former state senator, Matt Dunne, who stood beside Galbraith at a podium in the Vermont Statehouse. 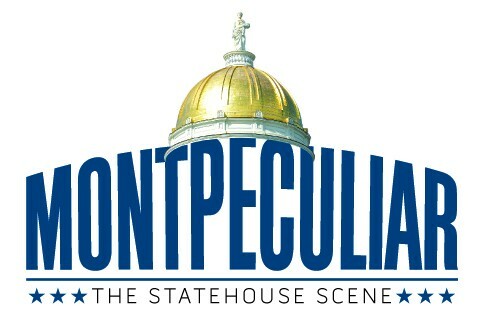 Dunne, himself a Democratic candidate for governor, had invited the campaign finance crusader to Montpelier for an announcement that Dunne would return more than $16,000 worth of corporate campaign contributions and refuse such money in the future. It was a savvy move. If Galbraith were to join the race, as most political observers think he will, he would surely hammer Dunne and his other opponents for accepting corporate cash. By getting out ahead of Galbraith, Dunne could claim the moral high ground — and train his fire on the other declared Democratic candidate, Sue Minter, who has made clear she will continue accepting corporate donations. Inviting Galbraith to the announcement was sure to draw reporters and earn headlines, but it carried an element of risk: The Townshend Democrat could upstage Dunne — or go totally rogue. Asked when he would announce his plans, Galbraith said, "It will be revealed at the appropriate time." Asked a third time, Galbraith said, "I will let you know." He paused. Then, because he can never quite help himself, he continued. "It's no secret that I've been exploring. I've often said that, whenever it's a slow news day in Vermont, you know, some of you guys think, well, what would be a good news story?" Galbraith said. "Let's have a further story speculating on whether Peter Galbraith is going to run for governor." Wait a second. This from a guy who who'd come all the way from southern Vermont to appear at a press conference about the Vermont gubernatorial campaign? A guy who, when he learned Seven Days was writing about Dunne's imminent announcement earlier this week, called a certain political columnist to get his name in the story? "I want to be clear: I have never floated a trial balloon," Galbraith said. "I have simply answered your calls. My view—"
WCAX's Kyle Midura interrupted the candidate-in-waiting to inject a dose of reality into the conversation. "You have spoken at several meetings—" Midura began, referring, presumably, to the fact that Galbraith had signed up to speak at an AFL-CIO annual meeting last month and requested to be identified as a "possible candidate for governor." "I spoke at one meeting!" Galbraith insisted. "Look, look, look, whatever, whatever. I've made clear that I'm exploring it. I've also made clear my belief that we do not need 15-month campaigns for a 24-month job. That's always been the Vermont tradition." Quite a thing to say standing next to Dunne, who was floating the idea of running for governor as far back as last spring and who has been publicly campaigning since last June — a full 17 months before the November election. Galbraith couldn't seem to help one-upping Dunne, his hapless host, even as he ostensibly praised his potential rival for returning the corporate cash. "Again, I want to conclude by congratulating Matt for speaking out on this issue ... He talked the talk from the beginning of his campaign," Galbraith said, referring to Dunne's early policy statement that he would seek to ban corporate contributions in Vermont. "Now he's walking the walk." Ever the diplomat, Galbraith elaborated on his moral superiority. "And I want to say, it's much harder for Matt to do this than it would be for me," he said. "I've never accepted corporate contributions, and the reality is none were ever offered, so it was pretty easy. But once you've gone through the hard work of raising money, then to return it — that's a tough thing. So congratulations, Matt."